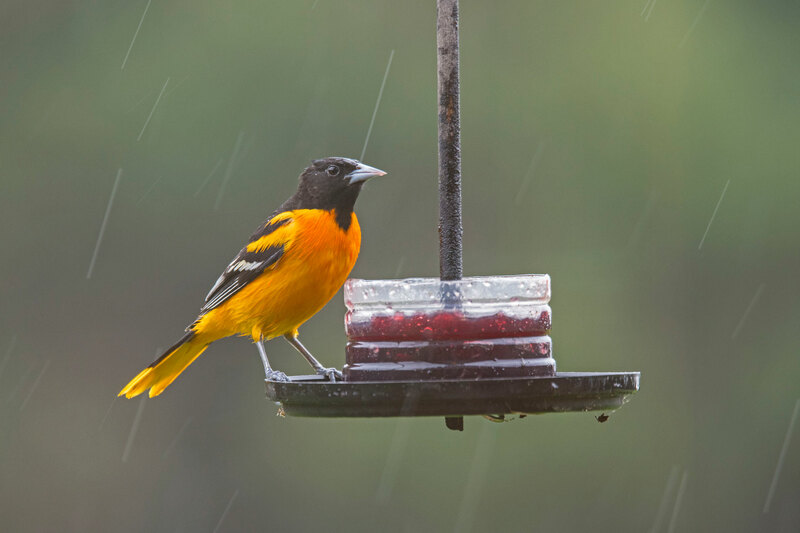 It was raining our so I decided to stick around home and photograph the birds that were showing up to my feeders. 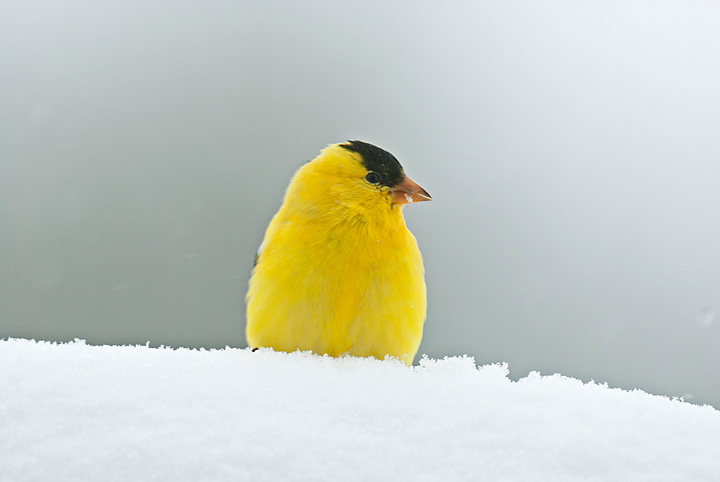 I have very few American Goldfinches around this spring. The few that are around are in the process of moulting and should have their summer colors within a few weeks. 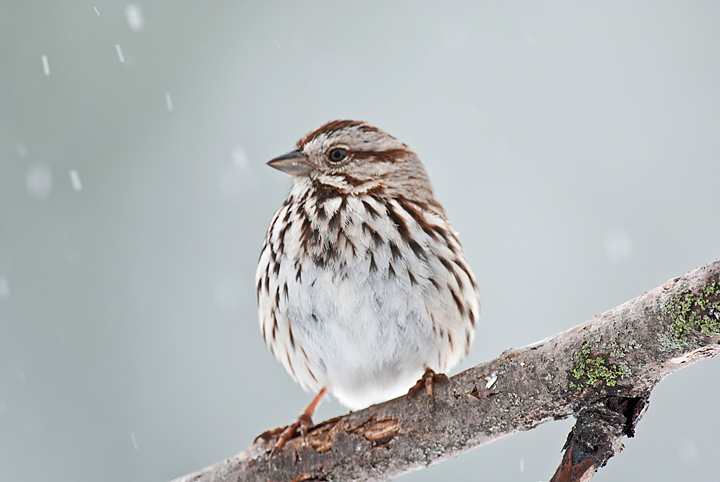 I decided to start a series of blogs showing the birds of winter. Although it is not quite winter there has been snow on the ground for over a month. It really came early this year. 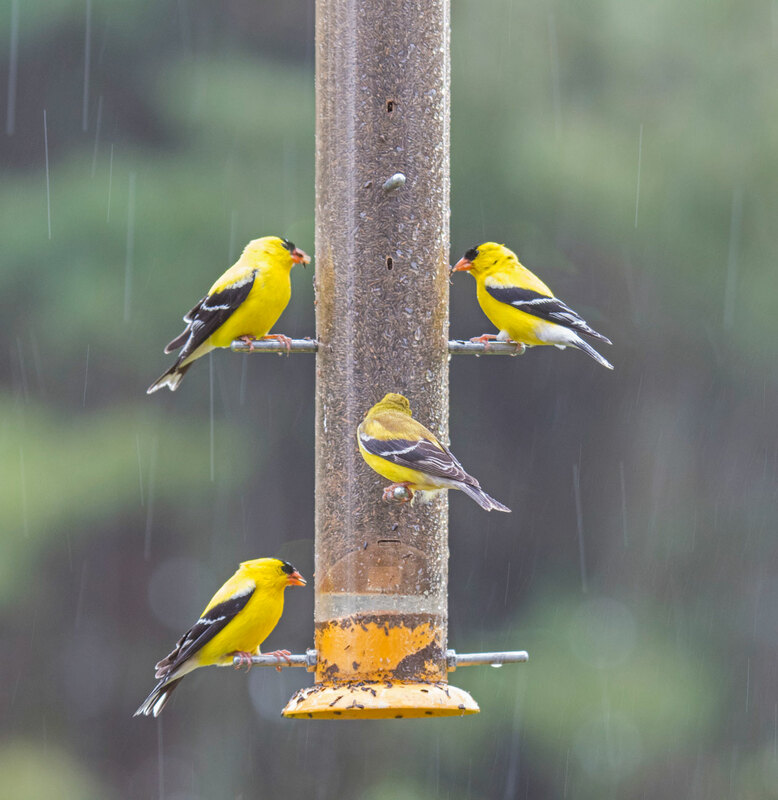 I probably have more American Goldfinches at my feeders than any other bird this winter. More bird photos from the farm can be found on my website. 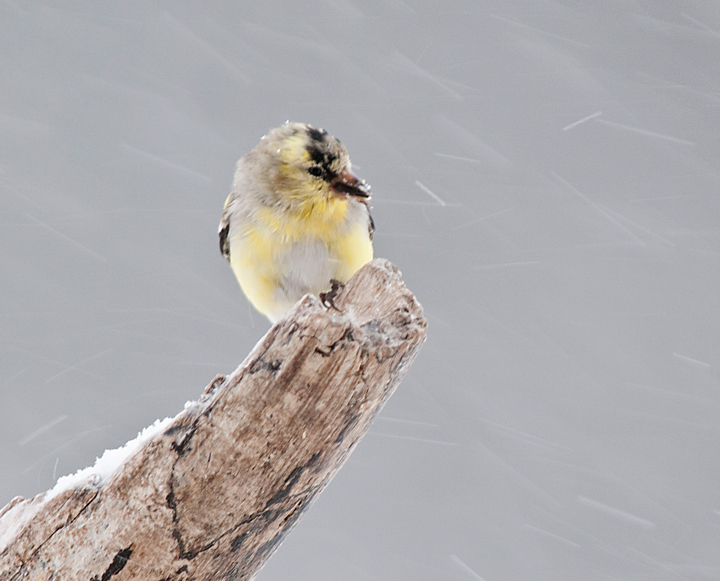 Another snow storm come through so I spend the morning photographing birds. 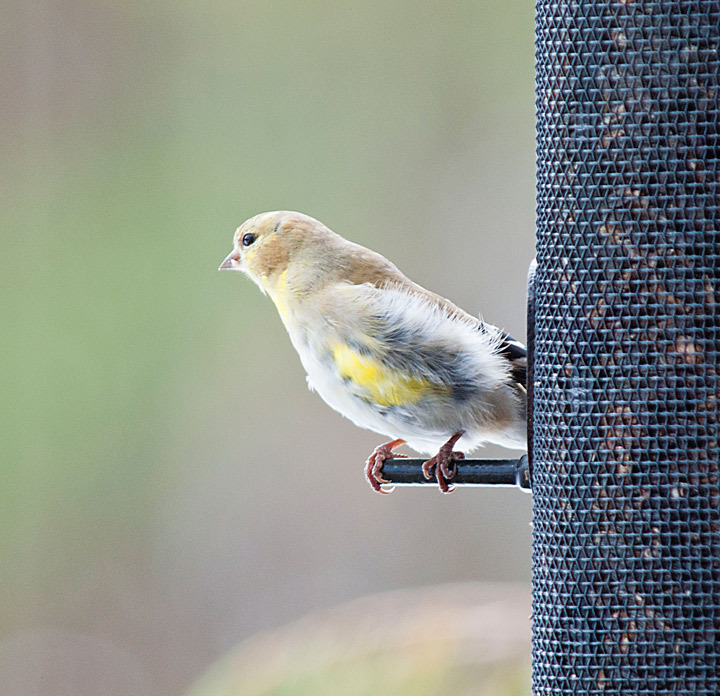 I had the usual suspects, Black-capped Chickadees, Dark-eyed Juncos and American Goldfinches. However, I did manage to photograph several birds that I don’t get to photograph as much. 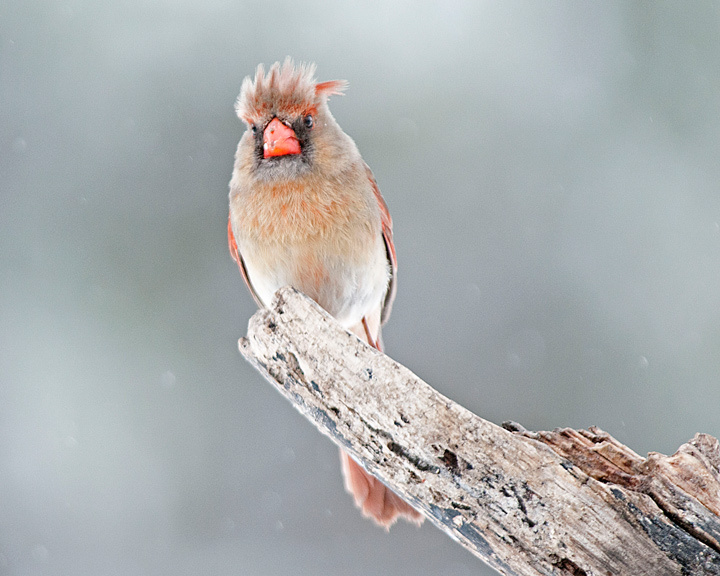 I’ve been able to photograph male Northern Cardinals but the female Northern Cardinal has proved elusive this winter. I happened to catch this one looking out from behind some branches. I have large numbers of Downy Woodpeckers around but I don’t see Hairy Woodpeckers nearly as much. 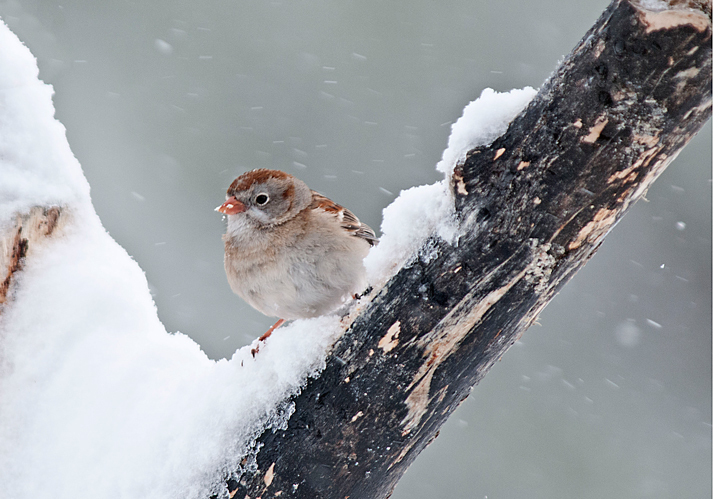 I’ve only seen an American Tree Sparrow around twice this winter. This time I managed to capture a photograph of it. 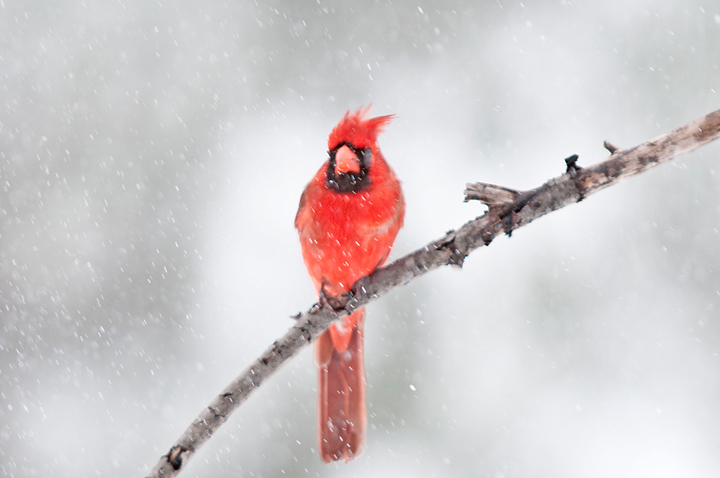 More winter bird photographs can be found on my website. May started off with a bang. I started snowing on the evening of May 1st, continued all day on May 2nd and finally ended mid day on the 3rd of May. Well over a foot of heavy wet snow. 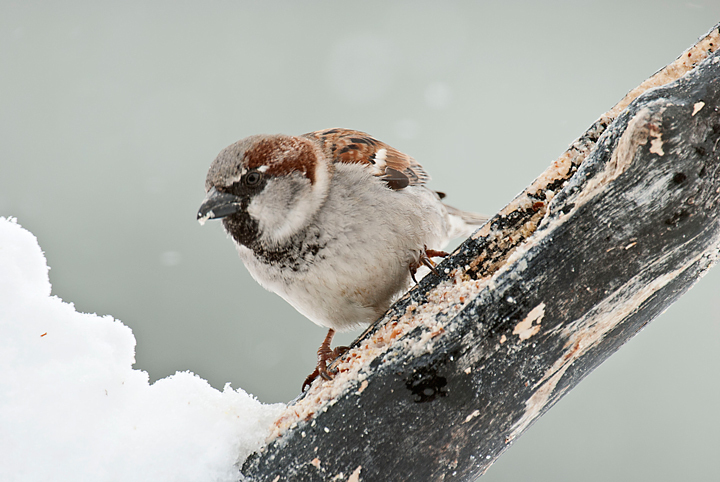 It was difficult photographing birds because of the heavy snowfall and the wet snow hitting the windows but I managed to capture a few of the spring birds at the feeding stations. 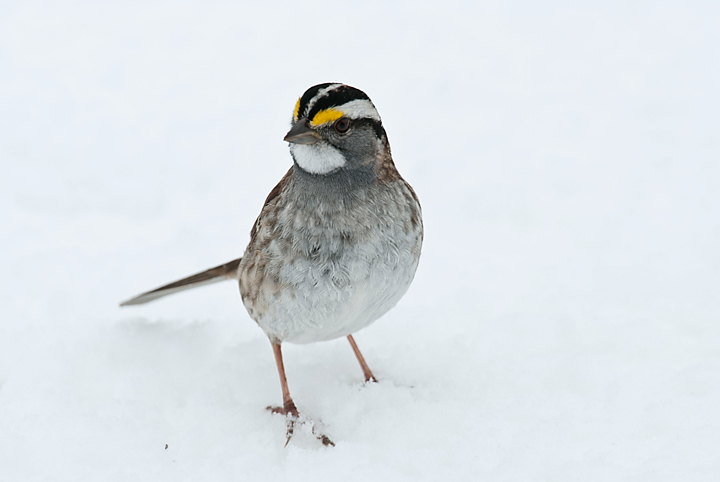 I had a lot of White-throated Sparrows around during the storm. I’ve had a few of them around in the past but never this many. 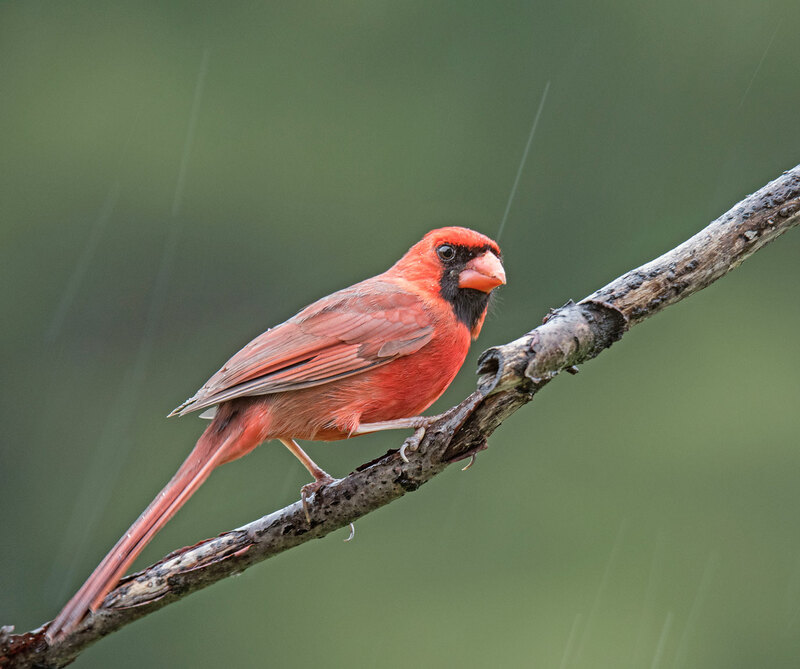 The Northern Cardinals are still around although only a couple of pairs of them. Nothing like the dozen or so I had this winter. They really looked miserable during the storm. 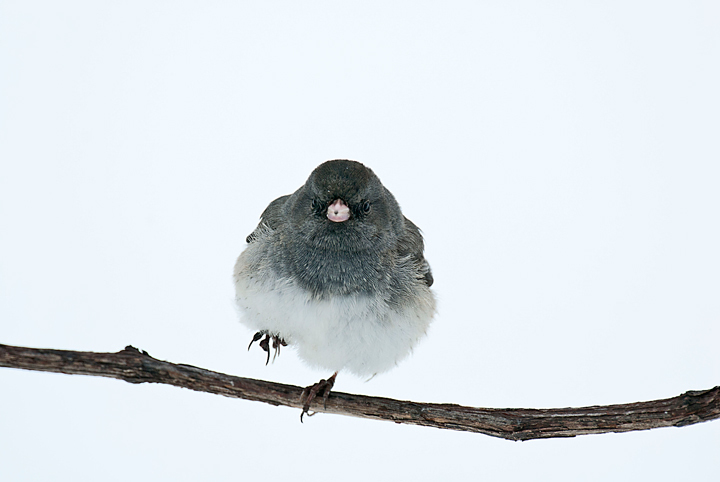 The Dark-eyed Juncos were all gone after a week of 70 and 80 degree weather but a few of them returned after the storm. The Song Sparrows have been around for several weeks and I suspect they will again be nesting in the bushes near the house. I think any thoughts of nesting have been delayed a bit because of the storm. 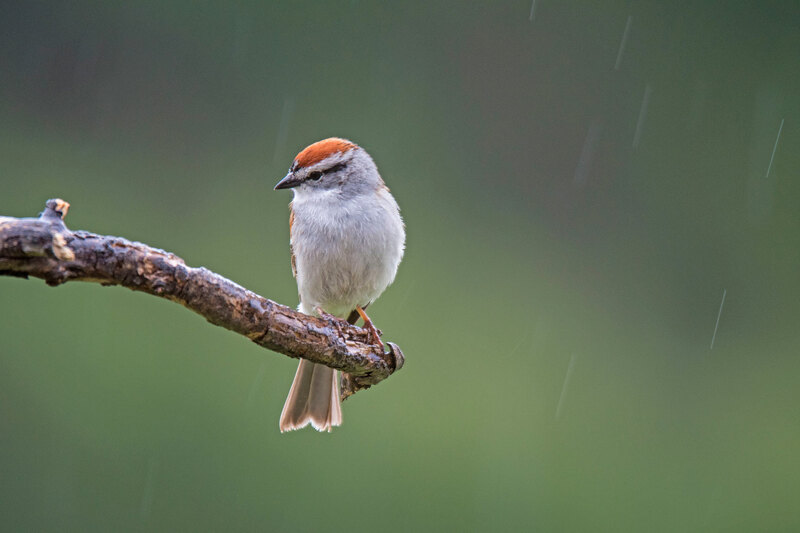 House Sparrows are rarely seen around the farm. I’m not sure why. I see them around town a lot but not on the farm. This one turned up during the storm. 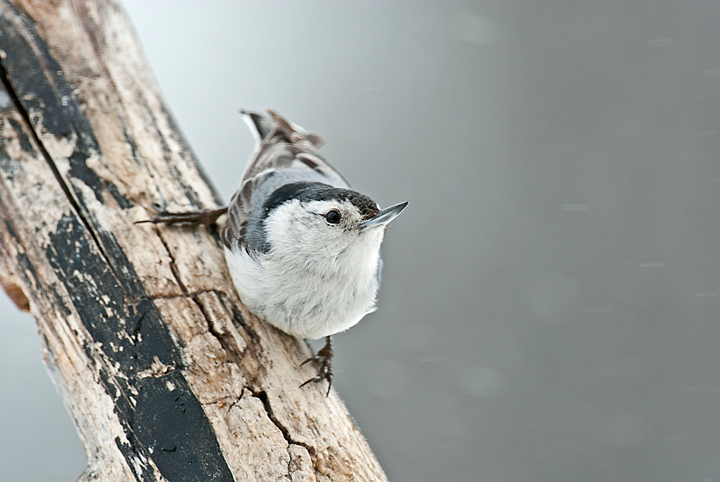 There were a pair of White-breasted Nuthatches at the feeder during the storm but I was not able to get a photo of them together. 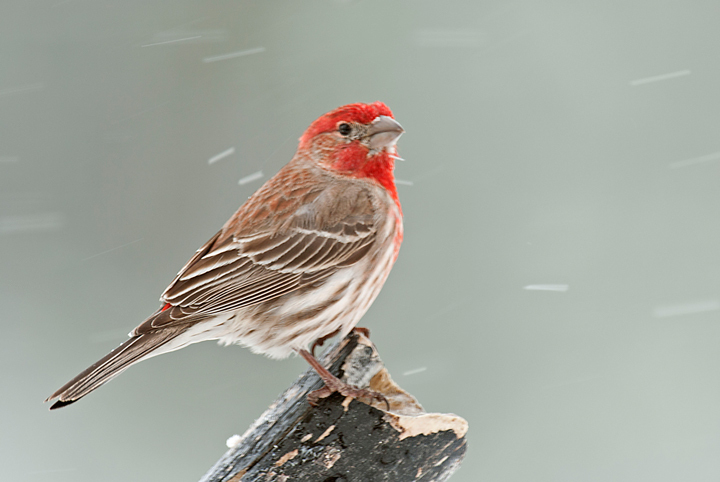 I’ve had good number of House Finches around the feeder in the past couple of weeks and they turned up during the storm. The last time I saw the American Goldfinches they were molting. They were not around much during the warm weather but turned up, in small numbers, during the storm. It looks like molting has been completed. I’m not sure what this bird is. It turned up at the feeder during the height of the storm but I haven’t figured out what it is. There were a variety of other birds around but I wasn’t able to get any Photos. 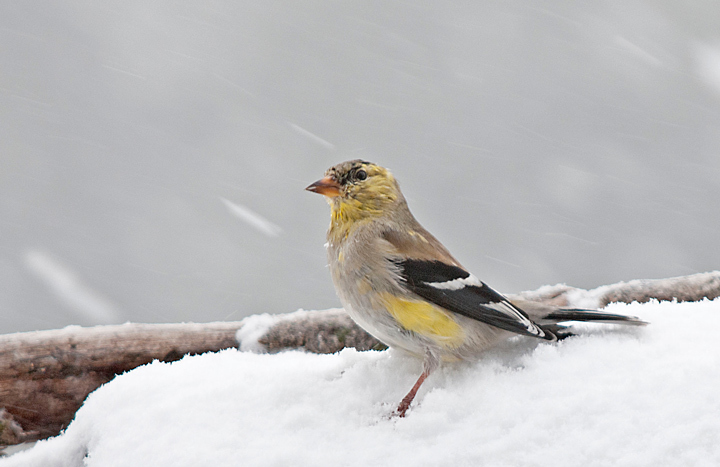 Another sign that spring is just around the corner the American Goldfinches are moulting. 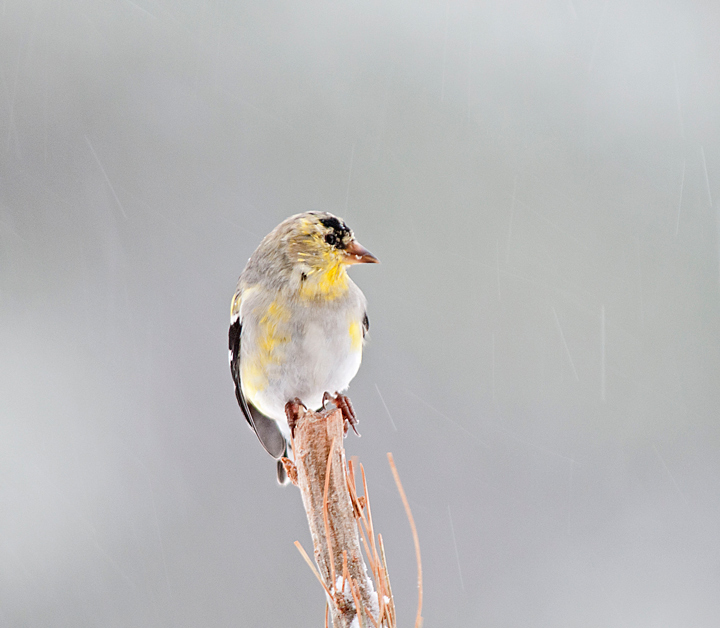 For the past several weeks I’ve been photographing male goldfinches that are moulting.